We often tell people there’s no sense in even looking at houses for sale unless you’ve done your legwork first, especially in today’s fast-paced, competitive market. Below we’ve broken down the steps you should complete in order to get ahead of the game. If you are planning on financing a home with a mortgage, this is something to prepare for months or years in advance of putting in an offer. The gold standard for the best interest rates is 20% down on the price of the home. But take heart if that number seems too daunting: there are various other programs available where you can put as little as 1% down. VA loans for military service members require 0% down. 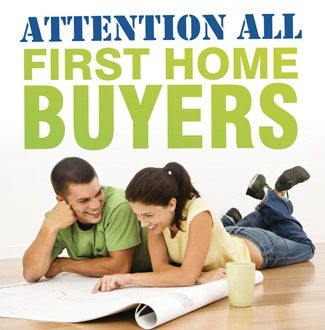 There are also down-payment assistance programs available. Still, you’ll want to have some cash on hand for things like earnest money, closing costs, moving expenses, etc. This is SO important these days. Your credit score is used to determine what type of interest rate you will pay on a loan, and if you even qualify for a loan. You need to know your credit score beforehand so you have some idea of the state of your credit. Luckily for us all, every individual is entitled to a free credit report once a year from the three major credit reporting companies in the United States: Equifax, Experian and TransUnion. With recent serious and far-reaching data breaches, it is critical to monitor you credit and protect it. The first step is knowing what is actually on your credit report. Any surprises on that report? Credit errors are more common than you might think, so contact the credit bureau to correct any erroneous information before you even start house-hunting. Prospective home buyers should make it a priority to contact a mortgage company to see if they can qualify for a mortgage and to determine how much of a mortgage they can afford. Different mortgage lenders offer a wide variety of rates and programs, so shop around to find the best rate and mortgage option for you and your situation. Once you’ve determined the mortgage that’s right for you, you’ll want to show sellers that you have what it takes to buy their home. In hot markets like ours, a pre-approval letter is almost always required for a seller to take your offer seriously. That’s because it spells out exactly how much a lender has agreed to lend you, thus assuring the seller that you’re both willing and able to purchase a home of that price. Once you have completed the tasks above, it is time to look for an agent to represent you. If you have questions about the process or need referrals to lenders, by all means contact a Realtor sooner than later. Having an agent help you can make the whole process much easier. How do you find a Realtor? Referrals are often a good place to start. Check with family and friends, or find out the go-to gal or guy in your preferred neighborhood. For a local company with deep roots in the Manitou Springs community, you can count on Manitou Springs Real Estate to provide the best and most comprehensive service. But don’t take our word for it… see what our clients have been saying about us on our testimonials page.